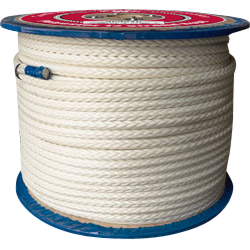 CWC 12 strand polyester provides high strength, low stretch and excellent abrasion resistance. It's easy to splice, and is 30% stronger than 3 strand or 8 braid polyester. It's torque-free construction will not twist or kink when load is applied. 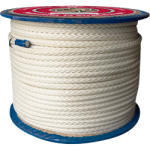 Applications for use include commercial fishing, tug working lines, mooring pennants and shock lines.